And that’s when Lainey and Bianca stumble across a copy of The Art of War. The girls are sure they can use the military handbook to lure Jason back into Lainey’s arms. So Lainey channels her inner warlord, recruiting spies to gather intel and persuading her coworker Micah to pose as her new boyfriend to make Jason jealous. After a few “dates,” it looks like her plan is going to work! But now her relationship with Micah is starting to feel like more than just a game. Can fighting for what she wants help Lainey find what she really needs? 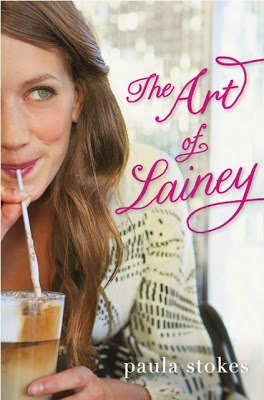 I completely adored The Art of Lainey. First of I love that Lainey uses The Art of War as a guide to win back her boyfriend. What a creative idea, I kind of feel like reading that now too. Once I picked up the book I couldn’t put it down and couldn’t stop smiling either. I liked Lainey a lot and not because she’s perfect, quite the opposite actually. She exudes a typical teenager personality. I thought she was well written character that really captures the teenage angst. 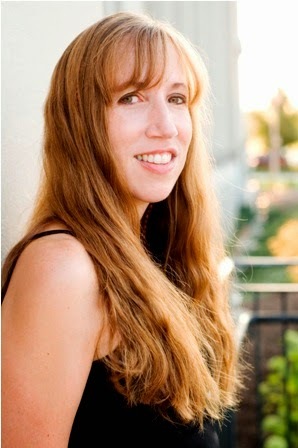 She develops throughout the book and with the aide of The Art of War kind of finds some clarity on things in her own life. She doesn’t have it all figured out but she learns that she doesn’t have to. I like that she owns her mistakes and really stands up for herself at the end. Great friendships in the book as well. I love how Bianca and her are solid. I also liked her friendship with Kendall. Even though I didn’t like Kendall because she is pushy and not really the greatest friend. I liked that Paula showed two very different kinds of friendships that are typical in life. I know I’ve had friends like Kendall myself. I also know I have had great friends like Bianca. It was nice to have it be such an important part of the story. If Bee hadn't encourage her Lainey might have become a puddle of ice cream. Of course this is one of my absolute favorite types of plots. Fake relationships. I don’t know why I love them but I do and I really loved how this one in particular was executed. I like how there were times when the characters took a step back and really thought about what was going on. I loved the little side stories going on with Leo, Jason, Bianca and even a little hints of Amber and Alex. Lots of characters involved but I did not find it confusing in the least. I thought they all enhanced the quality of the story. I also like the work in of soccer too. I thought it was fun to have the main character be tall and athletic. Also having one of the male leads be a mohawk sporting tattoo guy. Plus it was fun to have them do things like go to the Cardinals game. (ugh the cardinals I’m from chicago and even though I’m a White Sox fan…) I loved Lainey and Bianca’s obsession with Caleb Waters, soccer superstar. Just fun little things like that were throughout the book. So yes my adoration for this book is radiating off me in waves. Cute romance and lots of character development. Such a fun read and perfect to take with you to the beach.